We wrapped-up Phase 1 of Global Power Shift in June 2013, and Phase 2 is about to be completed. Global Power Shift (GPS) was the starting point for a new phase in the global climate movement. 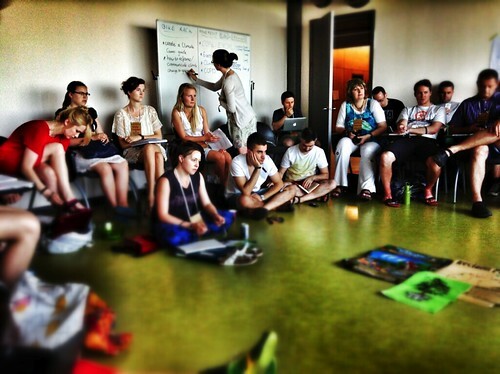 In June 2013, hundreds of climate leaders from around the world gathered in Istanbul to build community and prepare for a year of new action and strategy for the movement. Then, through 2013 and 2014, the world witnessed a wave of events and mobilizations like never seen before. If your group, organization, or network would like to be part of this effort, here are some of the ways you can get involved! If you’d like to be put in direct touch with the organizers, please let us know. 2- Help spread the word about the Global Power Shift! Send out an e-blast or newsletter that lets people know about GPS and encourage them to get involved in their countries Phase 2 organizing. Like GPS on Facebook and share it with our network. Follow GPS on Twitter and tweet about GPS to your followers. Even better, integrate the GPS narrative more generally into your communication and social media strategies for the months ahead. 3- Be a lead national event organizing group! A crucial part of the GPS strategy is the series of national follow up events and mobilizations we are planning throughout 2013 and beyond. Country after country we will organize national or regional summits and/or mobilizations. Depending on the size of the host country, these national efforts will bring together anywhere between hundreds or thousands of activists. The national summits will be opportunities to build on or launch national climate campaigns and to empower participants from around the country to return home equipped to lead local action groups. Local groups will in turn educate the public about the realities and solutions to climate change, implement solutions projects and campaigns, and begin to recruit for mass global action leading into 2014 and 2015. As a partner, you will work with national and regional networks convened through GPS and team to organize nationally, which may include: mobilizing local support, resources, putting together a team, planning the programme, designing the schedule, developing a campaign plan, and more. 4- Join the organizing team for the national or regional events! If your group wants to be involved, but it’s not ready to take full responsibility to lead the process of organizing a national or regional event, it’s okay! You can still partner with others and join the team in each country to support the organizing of the national events and campaigns. 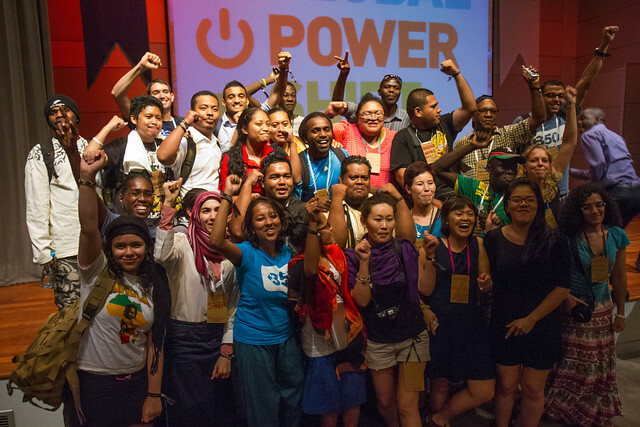 5- Support our fundraising efforts for the Global Power Shift! We are trying to make sure that money is not an obstacle for our teams organizing Phase 2 Power Shifts in their home countries. So if your group or organization is able to mobilize resources, maybe you can support us in funding the GPS. As a partner you can support the specific costs related to Power Shift events or mobilizations — for example with travel, venue, campaign materials, and more. Or you can contribute to the overall budget which will be distributed into the areas that need the most. 6- Connect us with high-profile speakers within your networks! A big component of our Global Power Shift is the inspirational talks led by high-profile speakers. If you are connected to a network of inspiring people, and high-profile speakers, maybe you can partner with us to identify and recruit those speakers. If any of those options interest you, GET IN TOUCH!